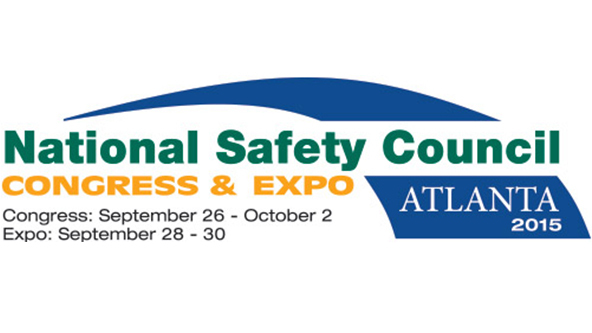 Chicago (September 22, 2015) — MSDSonline, the leading provider of cloud environmental, health and safety (EHS) solutions, will host a presentation to review OSHA’s alignment to the Globally Harmonized System (GHS) at the National Safety Council (NSC) Congress & Expo in Atlanta, Georgia next week. MSDSonline president and CEO Glenn Trout and vice president of sales Chuck Haling, two of the industry’s top GHS experts, will discuss important information on meeting the GHS compliance deadlines and provide an update on the implementation progress. In 2012, OSHA modified the Hazard Communication Standard (HazCom) to align with the GHS, setting into motion a series of phased compliance deadlines for the millions of hazardous chemical manufacturers, distributors and end-users (or employers) covered by the standard. While recent enforcement directives have offered additional clarity on OSHA’s interpretation of its revised HazCom under the GHS, many industry professionals still have questions about the changes associated with the model system alignment. In the presentation, titled 2 GHS Deadlines Hit in 2015: Are You Ready?, Trout and Haling will review HazCom and the GHS updates, while providing actionable steps employers can take to best administer the changes in their facilities. The presentation will be held Wednesday, September 30 from 1:00-2:30 p.m. ET at the Georgia World Congress Center. For more than 100 years, the NSC has been the nation’s leading safety advocate with a mission to save lives by preventing injuries and deaths at work, in homes and communities, and on the road through leadership, research, education and advocacy. The nonprofit organization works with businesses, government agencies, elected officials and the public to make the world measurably safer by helping to prevent unintentional injuries. The annual NSC Congress & Expo brings together more than 14,000 health and environmental professionals to share ideas, trends and best practices to propel their organizations forward. NSC Congress & Expo attendees are also encouraged to visit MSDSonline’s booth (#2759) to learn about the company’s integration with Knowledge Management Innovations (KMI), one of the most respected global EHS and sustainability management information system (EMIS) providers, to create a new kind of EHS software company. EHS professionals who are unable to attend the NSC Congress & Expo but are interested in learning more about OSHA’s adoption of GHS can view on-demand recordings of MSDSonline’s popular webinars at www.MSDSonline.com/resources/webinars. For ongoing EHS updates, visit the official company blog at www.MSDSonline.com/blog. The NSC Congress & Expo will be held September 26 through October 2, 2015. For more information visit www.congress.nsc.org.